Zin pastl bandages are used in surgeries and hospitals for placing unna boots. 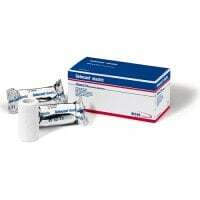 In our online shop, you will find a large selection of various zinc paste bandages, from renowned brands and manufacturers, for finishing cooling and stabalising wraps. 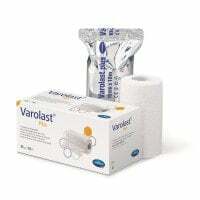 Zinc paste bandages are among the partially rigid compressive wraps and are usually non-sterile. 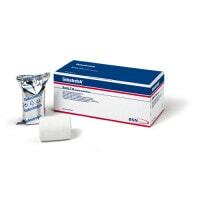 A zinc paste bandage consists of a gauze bandage that has been worked through with zince paste. In order to prevent the zinc paste bandage from drying out, it is always individually sterile wrapped with an air tight seal in foil packaging. The zinc paste bandage is applied wet and dries (similar to plaster cast) after a determined time frame, leaving it rigid. The rigidness of zinc paste bandages is, however, much lower than plaster casts. Zinc paste bandages are available in different variations. 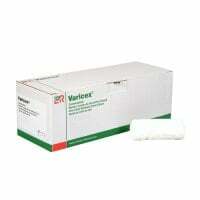 So as to improve the application of the wrap, elastic zinc paste bandages are most often used. This is because rigide wraps are too difficult to dole out in the proper quantity. Praxisdienst offers you lengthwise and widthwise stretchable zinc paste bandages that provide an uncomplicated and even application of the compression wrap. 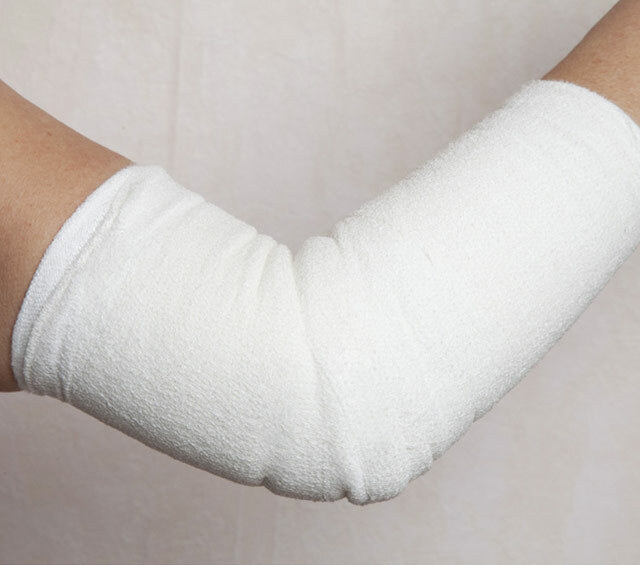 The application of a zinc paste bandage not only compresses the tissue, but it also applies counter pressure to the muscles. Not only does this provide improved blood flow and release, but it also stabilizes the wrapped joint. The lightly cooling affect of an unna boot is also perceived as pleasant by most patients. The finished zinc paste wrap (unna boot) is not usually wrapped directly onto the skin, but rather on a cloth underlay, such as tubular bandages or padding. This prevents pressure points and makes the wrap easier to remove later. 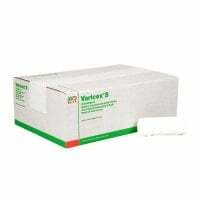 Would you like to purchase zinc paste bandages, but have questions about our products? Our friendly customer advisors will gladly help you further. Simply talk to us! In addition to long-stretch and short-stretch bandages for zinc paste wraps, you will also find additional wrapping material and the compatible underlay wraps, compresses or ideal bandages at affordable prices, in our online shop.